ThePre-Raphaelite Brotherhood was a group of English painters, poets, and critics,founded in 1848 by William Holman Hunt, John Everett Millais and Dante GabrielRossetti. The three founders were joined by William Michael Rossetti, JamesCollinson, Frederic George Stephens and Thomas Woolner to form the seven-member"brotherhood". Inthe masters of the Italian Renaissance, "Raphael" was synonymous withWestern classical painting. Pre-Raphaelite Brotherhood was cast in differentart education of classic overemphasis of the Academy at the time the 19thcentury..Pre-Raphaelite Brotherhood was aimed "to find perfectionnaturally is a creation of God, and to reproduce the truth of nature"
ThePre-Raphaelite Brotherhood does not last long, Millet is an associate member ofthe Royal Academy, the group broke up. 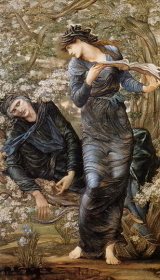 "Pre-Raphaelite Brotherhood"referred broadly as including the such as Edward Burne-Jones was under theinfluence of Rossetti. 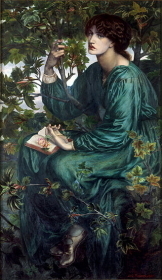 It seems that the Pre-Raphaelite's Brotherhood painters differed in each directivity to aim at.Millet became an associate member of the academy and returned to the organization group.Hunt left for the Middle East, in order to draw a Biblical tale, and Woo lner left for Australia in quest of the newwor ld.Rossetti involved in the painter of young generations, such as burn =Jones, and was groping for new directivity.It may be only Hunt that wasfaithful to the Pre-Raphaelite's Brotherhood idea to the last.Although thepainter gathering in Rossetti's basis might be called the second-halfPre-Raphaelite Brotherhood, the work flowed into the symbolism and aestheticismtendency, it was called "the father of the modern design" and WilliamMorris became the origin of art nouveau. タイトル : In the Bleak Mid-Winter《木枯らし..
Ｐre-Raphaelite Brotherhood's art the evaluation is divided "Prettejohn suggests a new story about the development of modern art, from Pre-Raphaelitism to symbolism to surrealism to pop art to postmodernism. If that doesn't piqu art book reader's interest, perhaps. . . the luscious reproductions of virtually all the famous and many lesser known but entrancing Pre-Raphaelite masterpieces will." 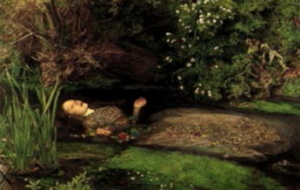 "Ｗho were the Pre-Raphaelites, and what was their art like? Prettejohn addresses these questions with sensitivity, careful attention, and scholarly expertise in this gorgeous book . 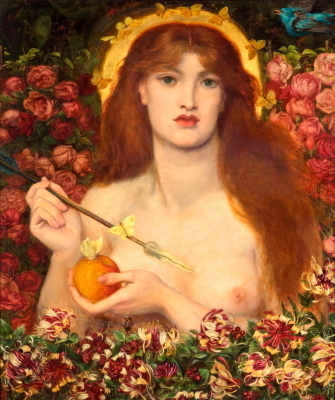 The author argues that Pre-Raphaelite art requires long, close scrutiny. Her book equally merits lingering and absorbing attention." 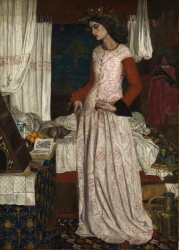 There are a variety of views to the Pre-Raphaelite Brotherhood. Ａ valuable study that will appeal to art historians and those familiar with this seminal movement ａand these are all in excellent color. Prettejohn has not only brought together so many of this time period's masterpieces, but has also provided the history and means with which to realize the full impact of these paintings.If reading about art doesn't sound too exhilarating, this book will spark interest just from a momentary view of the enchanting paintings inside.